Open the 'Charms' bar on the right side of the screen. If you have a mouse on a desktop. Move the pointer to the bottom right corner of the screen, and the bar will pop out. Again, if you are using a mouse. Move the pointer to the top of the screen. Left click (the little hand will 'grip'the page). Then drag it down to the bottom of the screen, closing it out. 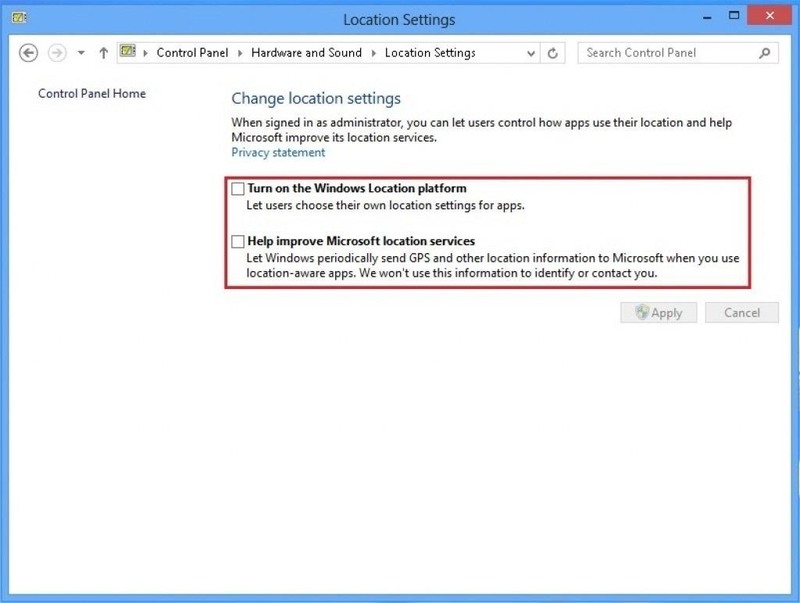 The second place to disable sharing your location is located in the Control Panel under Location Settings. To access this, you can go the long route. Or take the really short route. I'm going to suggest taking the short route. Open 'Charms' bar again and go to the Search. Type in "Location Settings". Click Settings (under search box) and you will see two items listed. Location Settings, and Change Location Settings. Clicking either one will take you to the same place. 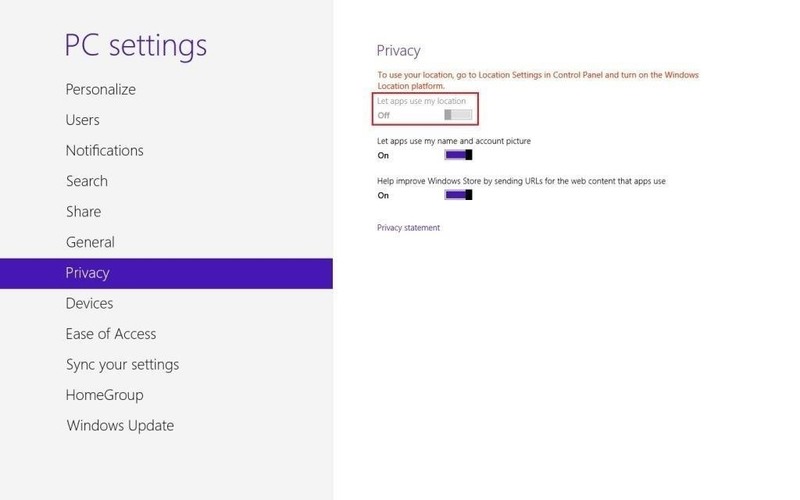 Make sure both the boxes (as shown above) are unchecked. Click Apply, and close it out. I like to restart after doing this so the computer can turn back on with those things completely disabled, and that way I know they are turned off. I my self, and I'm sure many others don't like the idea of their locations being shared with apps, and the world. Note: This does not disable location on your web browsers. Those have to be done seperately.